Be safe with the vishus deer! 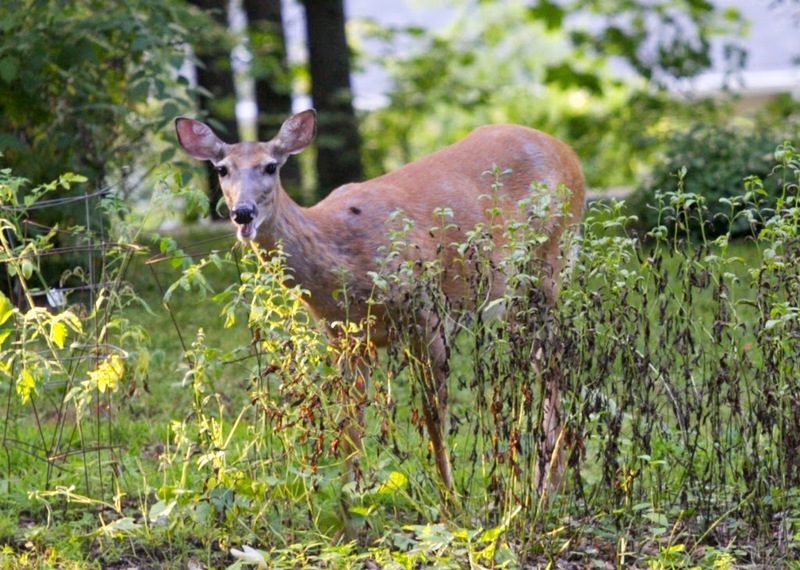 We are lucky that we have a large fence around our backyard that keeps out those vishus deer because they come up our street sometimes. Wow, those things never get that close to our house! Eek! I hope you have lots of cans of VDR. OMC! 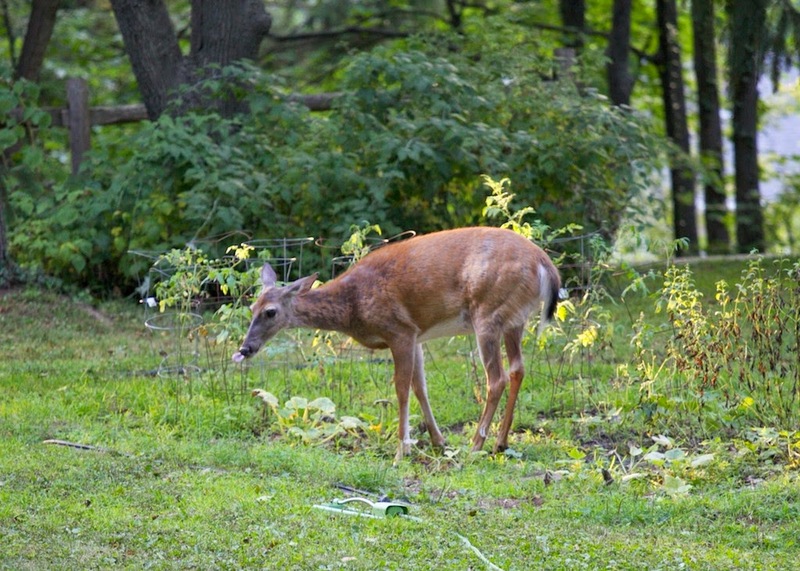 That looks like the same vishus deer that was in our yard last week! 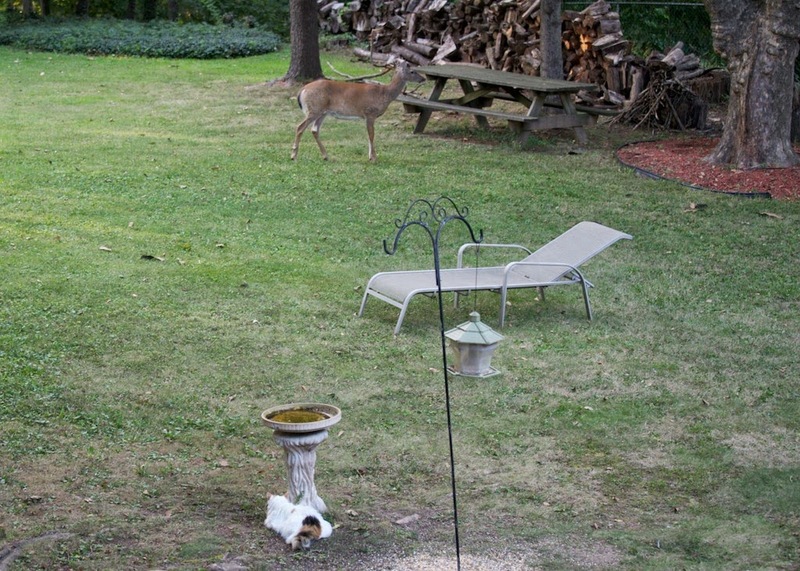 Wow, you had deer in your yard. Did you chase it? 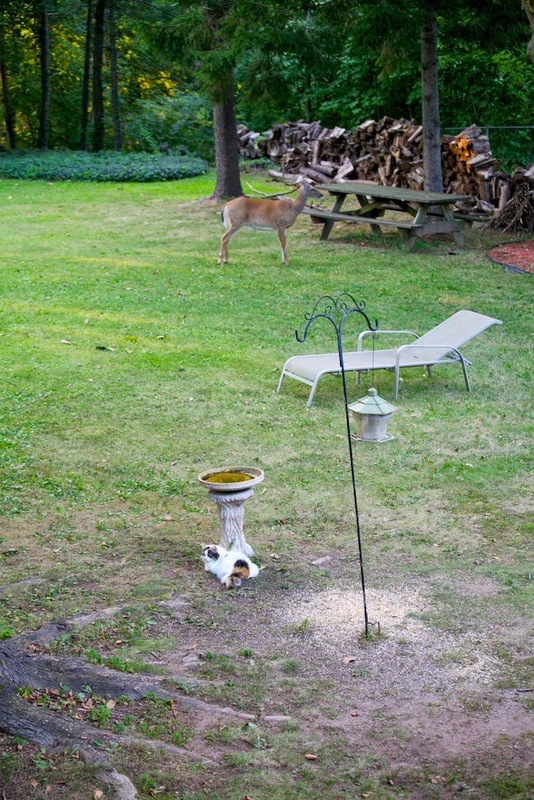 Angie, this Vishus Deer is really pushing it and has an inordinate amount of cheek invading your garden. Vishus AND rude! I think you are really brave to get so close, I would run! Angie, we thinks the deer looks kinda sweet. Happy Gotcha Day Beau Beau!!!! Happy Gotcha Day Angelica, we hopes the deer didn't get you.